An irregular Welsh language religious periodical circulating among the Congregationalists of south east Wales. The periodical's main contents were religious articles and poetry. The periodical was edited by William Jones. 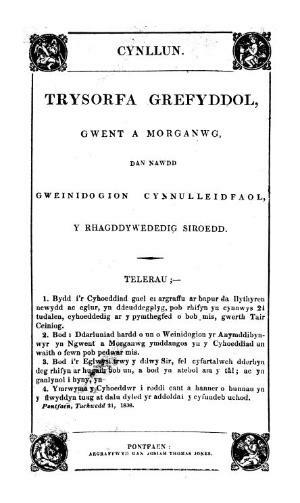 Associated titles: Trysorfa Grefyddol Gymreig (1839).